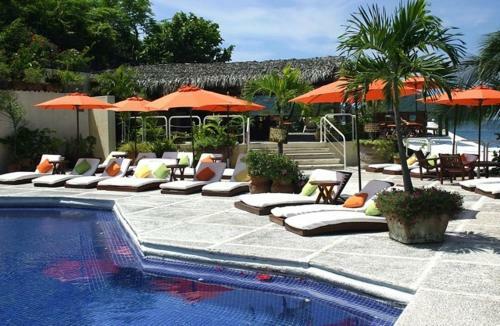 Beach front boutique hotel, conveniently located in Playa la Madera. Every suite has a private terrace overlooking the beautiful Zihuatanejo Bay. Brisas del Mar offers a charming mexican feel and homemade hospitality. Hoteles y Alojamientos, Hoteles en la Playa.